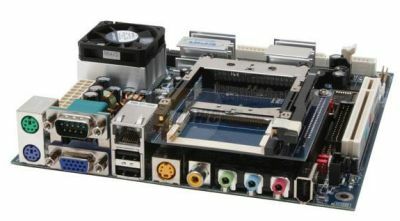 The big advantages of designing embedded products around PC technology is the simple development and quick time to market mostly due to reusing existing components such as: operating systems (Linux or Windows), drivers, development toolchains (GCC, .NET Framework, Java, etc) or even complete applications. Encouraged by the success of Mini-ITX and Nano-ITX series, VIA announce recently pico-ITX. The new pico-ITX form-factor will reportedly measure 3.9 x 2.8 inches (10 x 7.2 cm) -- exactly half the surface area of Via's already small 4.7 x 4.7-inch (12 x 12cm) Nano-ITX standard, and considerably smaller than the original 6.7-inch square (17 x 17cm) mini-ITX standard.